Get Underwater 8 carp fishing FREE from Thursday 9th August. 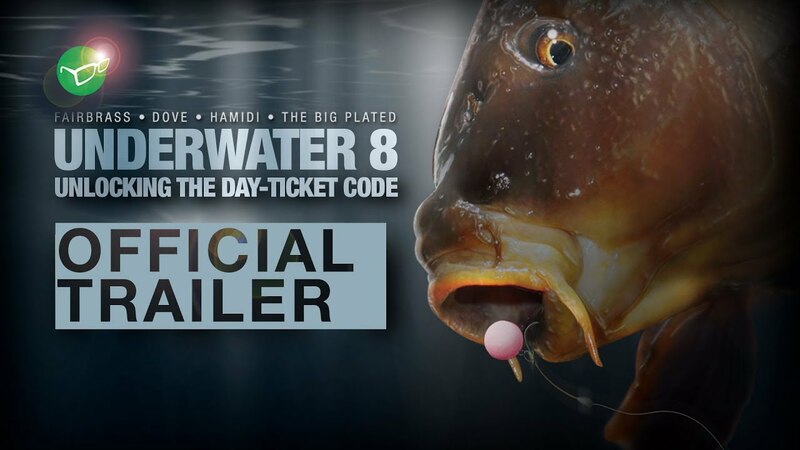 Fishing footage like you have never seen before. Korda rigs put to the test to help you catch more carp. Watch ONLINE in HD for FREE! Learn the hard way that in carp fishing ’EVERYTHING MATTERS!’ New methods are tested; solid bags and pop-ups are used for the very first time, alongside many more eye-opening approaches. Danny Fairbrass, Tom Dove, Ali Hamidi and Elliott Gray eventually take an amazing haul of fish, BUT the lessons along the way are hard and tough to watch. Get ready for the angling shock of your lives.